My husband is from Washington, so since my family isn’t really a sport family, I was automatically adopted into being a Seahawks fan. And at great timing too! Getting into the Super Bowl last year and this year?? We knew we needed to have a party at our place. I love throwing parties, so I wanted to make some paper goods to go with this party. I know it’s a guy thing, but it can still be pretty, right?? We’ll have the normal food (pizza, chips, dip, etc.) but I didn’t want our party to JUST be about football and food. 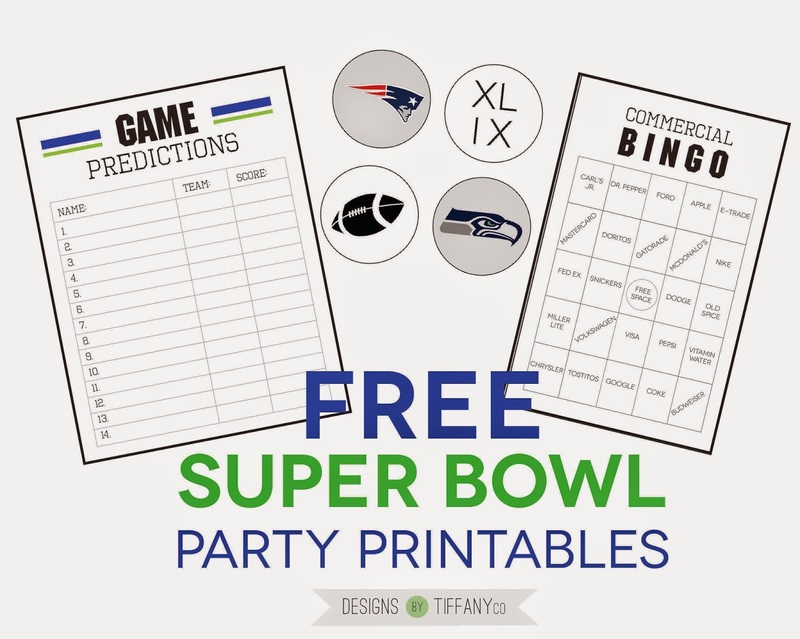 So, I made a few printables to bring to the table: a Game Predictions sheet (whoever guesses the closest score gets a prize) and food toppers.